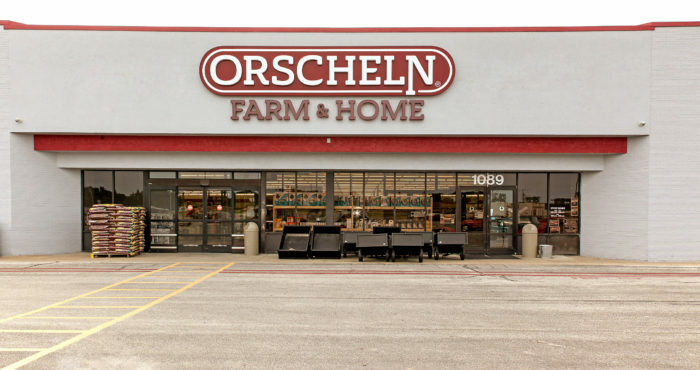 Orscheln Farm & Home is a retail chain serving farm, home, ranch, and suburban customers across the Midwest. Since the first store opened in 1960, the chain has grown significantly and now operates more than 160 locations throughout nine US states, with plans for continued, sustainable growth. 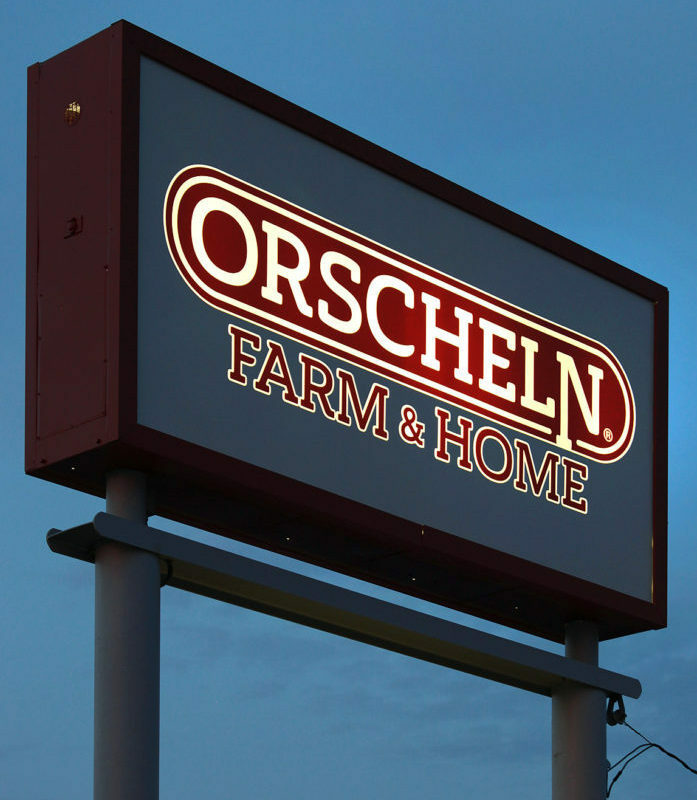 Orscheln came to Egan Sign because they wanted to improve the visibility, readability, lighting quality, and overall effectiveness of their signage. 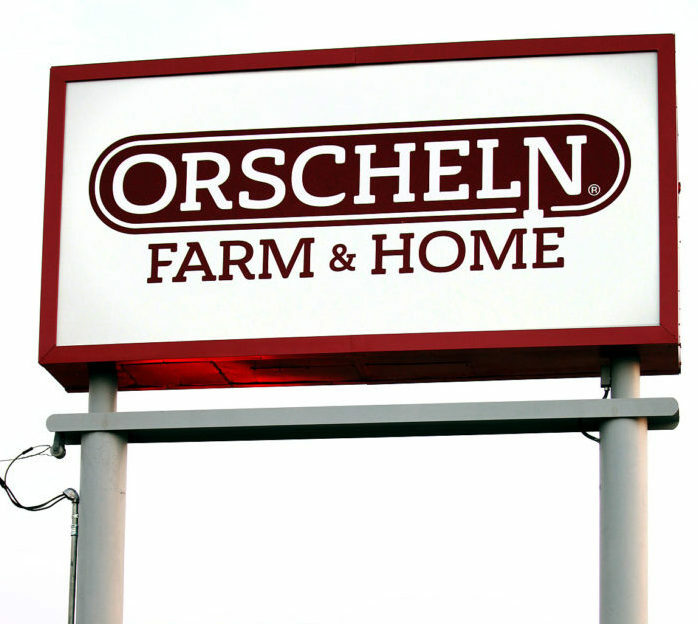 Orscheln Farm & Home did not have a Design Control Document for their signage. 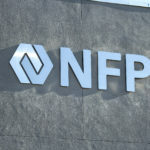 Many internal stakeholders at the company were not satisfied with their signage design and the service they were receiving from their incumbent suppliers. Throughout their growth, they had utilized many different sign vendors which resulted in inconsistency in design, quality of fabrication, and illumination across the chain. Visibility and readability are critical to the retailer for two reasons. First, many of their locations had significant setback from the primary roadway, and second, their storefront building materials vary greatly depending on location. 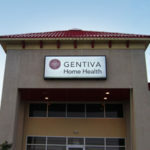 Their signs needed to be large enough and have high contrast against the façade to ensure customers could easily see and read the sign while travelling along the roadway. 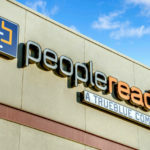 Consistency and quality of lighting was also an issue for the retailer, specifically as it related to the pylon sign design. Their pill shaped logo inside a rectangular sign cabinet resulted in an excessive amount of white space that, when lit, overpowered the Orscheln logo. The Orscheln visual merchandising department, led by Amanda Scott and Ron Volske, knew it was time for an upgrade. A cross-functional team from Egan Sign, including project management, graphic design, engineering, strategic sourcing, and account management, met to determine the best way to address the issues the retailer was facing with their signage. They used their combined years of sign industry knowledge and experience to present the Orscheln team with several options that addressed issues the company was facing. 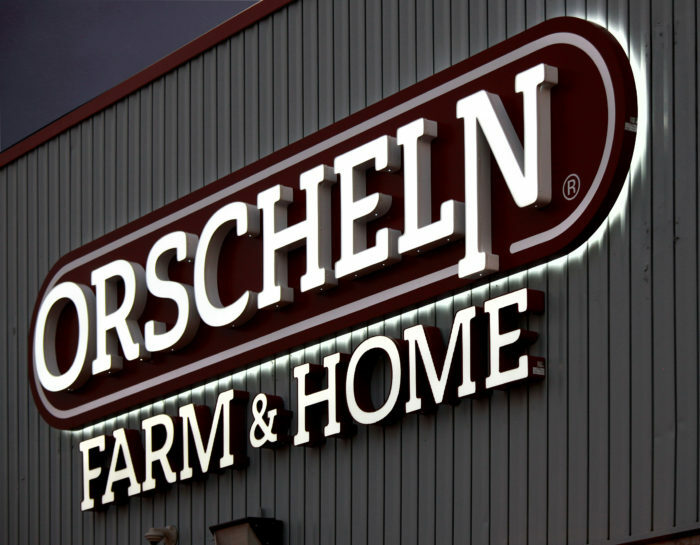 The options were presented to several Orscheln team members at their corporate offices in Moberly, Missouri, where the group discussed how the new designs would improve the effectiveness of signage across their new and remodeled locations. 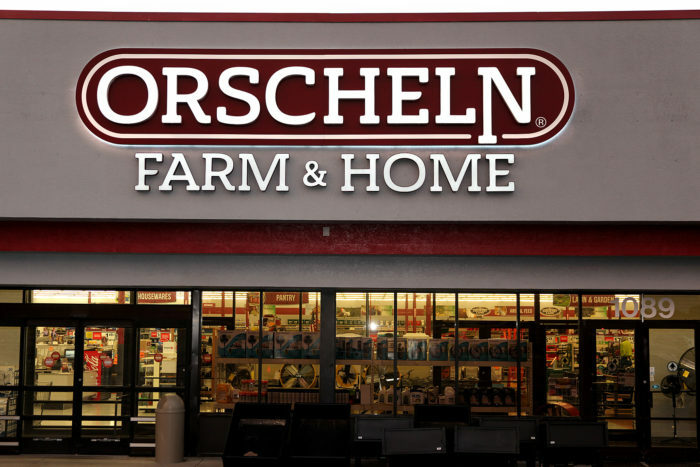 The most effective design package reversed the logo colors to achieve maximum illumination of the Orscheln logo and added a contrasting backer to address the various building materials and ensure visibility and readability. To address the white space on the Pylon Sign, Egan Sign recommended using a blockout vinyl on the second surface of the flex face. This allowed for illumination of strictly logo area and eliminated the overwhelming amount of white light. Before the initial redesigned Orscheln signs were rolled into production, Egan Sign provided a prototype of each unique sign design to confirm color match and quality of product, and at the same time, obtained final approval from the entire team. Since that time, Egan Sign developed the Orscheln Design Control Document which outlines approved sign types, materials, colors, sizes, and manufacturing methods and serves to ensure consistency as they move forward with the new design package. 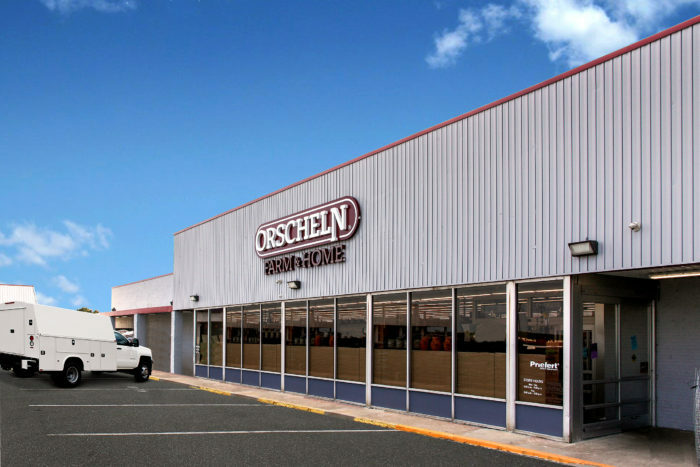 The project with Orscheln began in February 2017, and Egan Sign subsequently rolled out the new signage design package to eight of their locations within six months from the initial design presentation. As the company continues to grow in number and geography, Egan Sign is pleased to partner with Orscheln for all their ongoing signage needs.